Welcome, and congratulations for arriving at RebuiltEngines.co. We are the new breed of specialty engine replacement companies. Our specialty is rebuilt engines for sale. The job of locating the exact engine for your car or truck just became easier. Focusing on one job allows us to concentrate our efforts on supplying you with a cost effective engine solution. Our engines are for the uncompromising customer who wants the best replacement engine option available. Surprisingly, these engines don’t cost as much as most folks expect. In fact, a properly built engine is one of the best values offered in the replacement engine field. Since we handle unlimited amounts of engines, we are always prepared to ship yours anywhere you want ASAP. In some cases a rebuilding may be your only choice. Especially in an older car or a vintage car where other options are not as inviting. Our engines have been outperforming and out-powering the competitions by building pure value into every engine we sell. Saving our customers money is a top concern, without sacrificing anything but excessive costs, we firmly believe that replacing the engine in a perfectly good car or truck is a lot more cost effective than a knee-jerk reaction; buying a new car or truck. Buying the best built engine saves money because better products last longer and save you from warranty problems and wasted time in the long run. We receive feedback frequently, the most common reason people call back is to thank us, and let us know how much they appreciate our solid advice and let us know that we exceeded all of their expectations. Our team of hand selected sales specialists are experienced and seasoned professionals, making sure you get the correct engine the first time. All we need is your VIN [vehicle identification number], which is on your registration. You can enjoy the same service professional mechanics and fleet mangers get. Your car deserves a replacement motor, one that has been built with precision, care, integrity and premium grade parts, producing an engine that is better than new. We pride ourselves on using the newest updates available in the process of rebuilding every motor, thus an improved product at no extra cost. You also deserve the benefit of dealing with a company built on customer service and unquestionable ethics. Call RebuiltEngines.co. 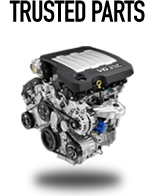 RebuiltEngines.co is located in the USA and you will be greeted by someone who speaks in clearly defined terms you will understand, and will help dissipate the pressure packed situation you are dealing with. Simply put, our goal is to outfit you with a quality engine at an affordable price and have it delivered ASAP. Call RebuiltEngines.co Now. We Have The Highest Quality Rebuilt Engines At Super Low Prices! Imagine having access to the Internet’s largest inventory of engines. At RebultEngines.co, we turn imagination into reality by offering you meticulously built engines of all makes and models. When you need an engine – any engine – simply pick up the phone and give one of our engine experts a call. Unlike other retailers, we’ll never make you wait on hold when you have an engine question. We pride ourselves on offering you live support whenever you call. In addition, all of our customer service representatives are also engine experts. That means that you’ll never be left guessing when you need help choosing or finding the right engine. Not only are our experts, well, experts, but we also have a toll free number that you can call, so you don’t have to worry about wasting your time or money. We work with a massive network of engine suppliers, manufacturers, and experts, so that you can have the engine that you need at the right price. Not sure what you need? Don’t worry, our professionals will help you find the exact engine that you are looking for in no time. Need something special? You’ll find what you are looking for by giving us a quick call. Want your engine right away? You’ll discover that we offer speedy service that won’t leave you waiting around for your engine. Our website is fully equipped to answer all of your questions, but you’ll find that calling one of our professionals is the best way to gain the latest engine pricing. Since we are constantly changing inventory in order to service you better, our prices are also constantly fluctuating. When you call one of our experts, you’ll gain accurate pricing right away – without any kind of delay. Why purchase a new car when you can simply purchase a rebuilt engine? Rebuilt engines from RebuiltEngines.co are reliable and well-built, but best of all our engines are entirely affordable. With excellent warrantees, expert service, and super fast delivery, it’s hard to beat RebuiltEngines.co. We offer so many engines that it’s hard to list the all, so give us a Toll Free call instead. Not only can our experts answer any of the questions that you may have, but you’ll also find that our experts can help you find the perfect engine for your automobile – even if you aren’t sure what kind of engine you need! Forget about searching for engine information that’s hard to find. Forget about shopping for a engine from an unreliable source. Find the information that you need with one phone call. Rest assured that our engines are built by experts. Don’t waste your time anywhere else. Your Time is Valuable — Buy a Rebuilt Engine from a Company That Gets Engines. Americans are turning more frugal, and one new way to save money is by purchasing a rebuilt engine instead of a new car. Rebuilt engines can bring new life to an old automobile or truck, making it run like it just came off the showroom floor. With rebuilt engines.co, you'll get great performance, dependability, and save thousands compared to buying a new vehicle. RebuiltEngines.co is the place to find engines and motors you need, at prices that you simply will not believe. Our giant database is packed with reliable, refurbished engines, plus we have a comprehensive online database to find any rebuilt motor for any make and model of automobile or truck. We can find you that rare engine for your classic automobile, or a engine for your newer light body truck or SUV. Whatever you need, you'll find it here at RebuiltEngines.co. These aren't just some motors discovered in a junkyard; these are engines that meet the quality standards of today's vehicles. Beyond just getting a low price, there is another benefit to getting a rebuilt motor, and that's the environmental advantage. By purchasing an enginefrom us, you will bring new life to an old car that may have been headed to a landfill. When you purchase a rebuilt motor, you need to be sure that you are getting the right one that is compatible with your vehicle. Not all engines are the same, even for the same make and model of car. For example, an engine from a 94 BMW does not necessarily fit into your 94 BMW. Even with the same make of car, there can be slight variances in the engine types. 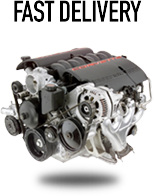 RebuiltEngines.co can find you the exact engine you need. Simply call our friendly customer service department with the VIN number of the car that needs the rebuilt motor, and we'll find a replacement quickly and easily. Who Will Install Your Engine? Not only does RebuiltEngines.co find you the precise rebuilt motor you need, but we'll ship it anywhere in the United States. We can ship it to your home, or right to the service center! So, before purchasing the rebuilt motor, you may want to set up installation at a local mechanics shop. Note, an oil change shop or muffler shop won't be able to do the work. Find a licensed mechanic or service center that has the right tools and experience. Nearly all auto mechanic shops and dealerships can install a rebuilt engine. We recommend getting a written quote from the mechanic before having the used engine delivered to the installer. You don't want to be blindsided by costs at the last minute. So, what are you waiting for? Contact RebuiltEngines.co today and get the exact motor you need, for any make and any model. Call our friendly customer service center and we'll get the motor quickly and easily. If you’ve read this far, we know that you’re serious about getting a engine for your car or truck. We appreciate that you want to be sure you’re getting the best deal, so we’ll take some time to talk more about the economics of buying a rebuilt engine. As we mentioned above, rebuilt engines—whether it’s a Chevy, Toyota, Ford or a Jeep—they’re tested and certified to work as good as new. This is especially true for remanufactured engines that come from shops that are certified by the original equipment manufacturer. So, right off the bat, you’re essentially getting a new engine for a little more than the price of a used engine. But in some cases, it’s even better than that. That’s because a rebuilt engine is tested and guaranteed to perform according to today’s standards. So, if you get a used 1995 Chevy truck engine that’s been rebuilt today, it’s going to be like getting a Chevy engine that rolled out of the factory this year, rather than an engine that was produced decades ago and then left in a warehouse. It’s going to be in compliance with any new environmental or emissions regulations that have been put in place since it was originally produced and it’s going to have the benefits of all the new tools, techniques and technologies used in todays rebuild shops. Another alternative to buying new engines is buying rebuild kits. If you’ve got the skills, expertise, time and tools, this could save you money. But chances are, you don’t have the caliber of tools, equipment nor the experience that a professional engine rebuild shop does. The shops that rebuild our engines take the time to do things the right way with the right tools—in fact, they have to, since their reputation is on the line. But there’s another important reason to buy a rebuilt engine: the warranty. Many of the engines that you can get through RebuiltEngines.co come with a guarantee that it will perform reliably for 30 days, 60 days, a year, five years or more, depending on the certification. This not only protects you from the risks of rebuilding your own engine or having your engine serviced by a local repair shop, it could possibly pay you back twofold in the very near future. The vast majority of rebuilt engines stay reliable long after their warranty periods have expired, but if you get a five year warranty and the engine fails four years and 364 days later, you get a free repair or replacement. So, bottom-line, with a rebuilt engine, you’re getting a like new engine for just a little bit more than a comparable used engine plus a warranty that guarantees its reliability. That just makes sense to us, and we think you’ll agree. Its hard to afford to fix your car these days, and even harder to afford a new car. So, one way to save money is to purchase a rebuilt motor and put it in your old vehicle, giving it new life and many more miles on the road. Rebuilt motors will give you the same solid performance and reliability, but at a fraction of the cost of a new vehicle. At RebuiltEngines.co we have a huge selection of engines and motors at prices that will amaze you. We have a hug, comprehensive online datbase of engines and motors from across the nation. We can find you a rebuilt motor for any make and model of car, truck or even diesel vehicle. 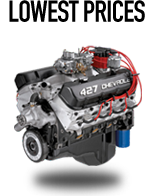 We can find that hard-to-find engine for your classic car, or a rebuilt engine for your newer SUV or light-body truck. Whatever rebuilt motors you need, we can find them for you, here at RebuiltEngines.co. Simply call our friendly customer service department with the VIN number of the car that needs the rebuilt motor, and we'll find a replacement quickly and easily. Who Will Install a Rebuilt Motor? Not only does RebuiltEngines.co find you the precise motor you need, but we'll ship it anywhere in the United States. We can ship it to your home, or right to the service center! So, before purchasing the rebuilt motor, you may want to set up installation at a local mechanics shop. Note, an oil change shop or muffler shop won't be able to do the work. Find a licensed mechanic or service center that has the right tools and experience. Nearly all auto mechanic shops and dealerships can install a rebuilt engine. We recommend getting a written quote from the mechanic before having the engine delivered to the installer. You don't want to be blindsided by costs at the last minute. So, what are you waiting for? Contact RebuiltEngines.co today and get the exact rebuilt motor you need, for any make and any model. Call our friendly customer service center and we'll get the rebuilt motor quickly and easily.